Below are fun things to do in Tampa that are fabulous for all types of travelers. You can visit the downtown area which is home to the Arts District that contains the Tampa Museum of Art, the Florida Aquarium and Curtis Hixon Waterfront Park. You will find white sand beaches at Honeymoon Island State Park as well as Caladesi Island State Park and if you like culture you can take a stroll through Ybor City where Latin art and music fills the streets. Other exciting options include visiting themed animal parks like SeaWorld Orlando or Busch Gardens Tampa. If you like animal conservation is ideal Tampa Big Cat Rescue and you can view incredible marine life at the Tampa Electric Manatee Viewing Center. When you just want to relax and enjoy the scenery then the Sunken Gardens and Gizella Kopsick Palm Arboretum are perfect choices. If you like watching animals in their natural habitat then a great thing to do in Tampa is to take a dolphin cruise from the Florida Aquarium. Your 75-minute excursion begins when you board a 72-foot catamaran within the Tampa Bay. You will cruise the bay while listening to interesting commentary from a trained Florida Aquarium naturalist on the marine eco-system of the area and Florida. As you relax in your seat you will be able to spot over hundreds of bottlenose dolphin that call the Tampa Bay home. 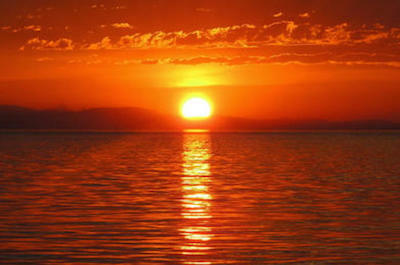 You will be pleased with the sightings as they follow the catamaran as you cruise the bay. Other excellent marine animals such as manatees as well as turtles are often scene on this tour and you can be assured of viewing numerous birds that also call the bay home. There are added bonuses on this excursion such as admission to the Florida Aquarium which contains over 20,000 species of plants and animals as well as superb view of the built environment of downtown Tampa. Your excursion concludes when you disembark from the catamaran and venture into the larger aquarium area. When you are interested in watching superb marine life within several themed aquatic areas then the perfect thing to do in Tampa is to visit the Florida Aquarium. 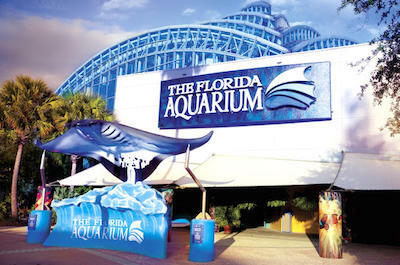 Located at 701 Channelside Drive in the Tampa Arts District downtown, the Florida Aquarium is situated in a massive 250,000 square feet facility that is adjacent to the Tampa Museum of Art, Glazer Children’s Museum and the Chris Hixon Waterfront Park. The Florida Aquarium is home to over 20,000 aquatic plants and marine animals that are housed in five themed areas that include the Journey to Madagascar which highlights the uniqueness of the animal and plant life on the island; the Wetlands Trail simulates the Suwannee River in Florida complete with birds and reptiles; Coral Reef is a massive tank that was replicated after a gorgeous coral reef in the Florida Keys; Ocean Commotion displays the energy of the oceans as well as Bays and Beaches where you will find items that range from sea grass beds to a barrier beach to a video of sea turtles nesting. 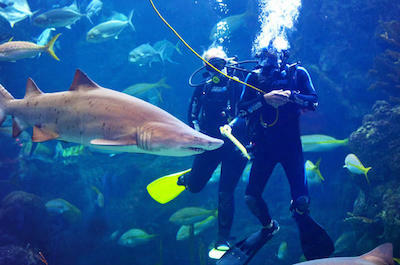 Other exciting activities at the aquarium include scuba diving with sharks and swimming with the fishes. When you are interested in learning more about marine life conservation as well as view on the premier rescue, rehab and release centers in the world, then an ideal thing to do in Tampa is to take a trip to the Clearwater Marine. Located at 249 Windward Passage just 40-minutes from Tampa in Clearwater, the Clearwater Marine Aquarium is one of the best marine rescue, rehabilitation and release organizations in the world. When you visit the Clearwater Marine Aquarium you will be pleased with seeing aquatic areas like the Winter Zone which is home to the famous movie making dolphins Winter and Hope which were featured in the movies Dolphin Tale as well as Dolphin Tale 2, Stranding Deck has a bottlenose dolphin, Rufus Beach, Otter Oasis, Shark Pass and you can hand feed stingrays at Stingray Beach, Turtle Bayou and Turtle Cove. Children will enjoy the Sea Cavern which is a touch tank filled with marine animals and the Education Station is geared for children to learn more about the fragile marine eco-system of the world. There are numerous activities onsite that include boat and kayak tours as well as the Spectrum Theater which plays a documentary on the process of rescue, rehabilitation and release. When you are ready for a day of watching incredible marine life combined with thrilling rides, then the best thing to do in Tampa is to visit SeaWorld Orlando. 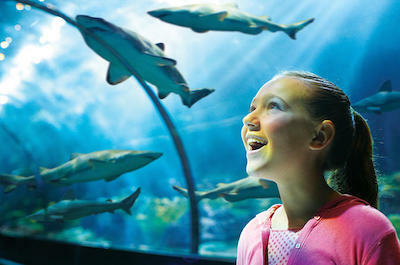 Situated on 200-acres with numerous aquatic tanks SeaWorld Orlando is a fabulous place to spend a day with the family. While you are at SeaWorld Orlando you can experience strolling through fantastic aquatic themed areas such as the Manta Aquarium, Jewel of the Sea Aquarium, Dolphin Cove, Stingray Lagoon, Pacific Point Preserve, Shark Encounter and Antarctica: Empire of the Penguin. Within these aquatic themed spaces you will watch incredible marine life such as hawksbill turtles, West Indian manatees, sea lions, penguins, sharks, orcas and beluga whales. When you are ready to increase your adrenaline then you can hop aboard one of thrilling rides like the floorless roller coaster Kraken, Mako, the Manta, Infinity Falls or Shamu Express. There are many added bonuses such as TurtleTrek which is a 3D computer animated theater journey as well as the Wild Artic which is a simulated helicopter adventure. There are daily shows that feature dolphins, orcas, sea lions as well as Pets Ahoy and SeaWorld and Bubble Legendary present Pop. You can also upgrade your experience to include one or two more fabulous entertainment venues like Busch Gardens Tampa, Aquatica or Adventure Island. When you want to experience an African adventure that is complete with animals and thrilling rides then a great thing to do in Tampa is to visit Busch Gardens Tampa Bay. 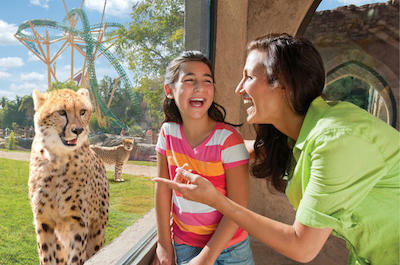 Busch Gardens Tampa Bay is situated on 335-acres and features one of the best African themed animal parks in the world. With over 12,000 animals you are sure to view some of the more rare species of Africa as well as experience a grand family adventure. The park has ten themed areas that include places in Africa such as the Congo, Jungala, Nairobi, Egypt, Pantopia as well as Morocco and children will thoroughly be pleased visiting the Sesame Street Safari of Fun. Animal themed habitats include the Serengeti Plain, Myombe Reserve, Cheetah Run, Jambo Junction, Lory Landing and the Edge of Africa. Many of the themed areas have thrilling adrenaline filled rides such the SheiKra which is the first dive coaster in the U.S. with a 90-degree vertical drop. Other exciting rides include Stanley Falls Flume, Tanganyika Tidal Wave, the Scorpion, the Phoenix and the Falcon’s Fury. There are plenty of places to quench your thirst or grab a bite to eat at the park as well as several entertaining shows daily. You can upgrade your experience by adding one or two more stellar attractions which include Adventure Island, SeaWorld Orlando or Aquatica. When you want to see fabulous wildlife and animals from around the world then a must thing to do in Tampa is to spend a day at the Lowry Park Zoo. 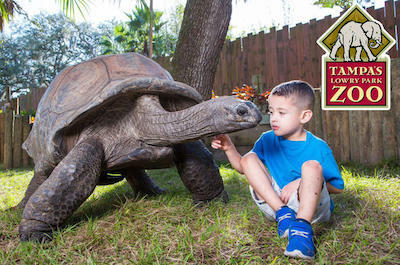 Located at 1101 West Sligh Avenue just north of downtown Tampa, the Lowry Park Zoo is situated on 63-acres and features dozens of habitat areas that house over 1,300 animals from around the world. You will be pleased as you walk around the grounds viewing the Asian Gardens, the Florida Wildlife Center, Primate World and Safari Africa. Other exciting habitat areas include Wallaroo Station, the Main Aviary and the Spirits of the Sky Raptor Show is fantastic. There is even an aquatic center that has an excellent educational show on manatees. You will learn about current conservation efforts that are taking place around Florida and the world to help many of these endangered animals. While at Lowry Park Zoo you can enjoy a break by taking a ride on the merry go round, a mini roller coaster or try the Flying Banana. Continually rated as the top zoo for families in the U.S. by several magazines, the Lowry Park Zoo is a superb place to spend the day. One of the more popular things to do in Tampa is to take a trip to the downtown area where you will find numerous attractions that will keep you busy for hours. The downtown Tampa area is a vibrant part of the city that exudes energy from the local art scene and is a great place for night life. There are also a wide variety of places to see that include the cultural experiences like the Florida Museum of Photographic Arts and the Tampa Museum of Art. Children will be thrilled when they step inside the Glazer Children’s Museum or just playing in the water fountains at the beautifully landscaped Curtis Hixon Waterfront Park. You can take a leisurely stroll along Hillsborough River and view the incredible built environment that towers into the sky above Tampa or view marine life at the fabulous Florida Aquarium. When you are ready to dine, the downtown area boasts some of the world’s best restaurants which serve outstanding cuisine from around the world. No matter what you are wanting to experience the downtown Tampa area is the ideal spot to spend quality time on your vacation. One of the more interesting and fun things to do in Tampa is to go scuba diving. These excursions are superb and allow you the chance to get up close and personal with many different varieties of marine life. Scuba diving at the Florida Aquarium in Tampa is a once-in-a-lifetime opportunity for divers who want you see some of the finest coral reefs which have been created to simulate the Dry Tortugas National Park near Key West in a 93,000 gallon salt water tank. While you are diving you will see numerous sharks from around the world like tiger, reef and black tipped. You will be thrilled viewing lobsters, stingrays, moray eels and even puffer fish. An added bonus on these excursions is that family members can watch you swim with these magnificent marine life animals. 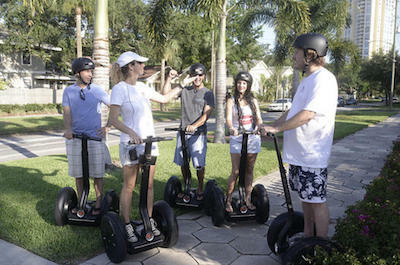 When you are looking for a nice change of pace and want to get of Tampa for a few one of the best things to do in Tampa is to take a St. Petersburg Segway tour. After just a short drive north from Tampa to St. Petersburg also known as the Sunshine City, you can take historical tour which will have you gliding along Tampa Bay to the St. Petersburg Pier, you will see where the first commercial airline flight in the world took place as well as listen to interesting commentary on the Tocobaga Indians. Nature tours will have you cruising along Tampa Bay looking for dolphins and manatees, stop at the Gizella Kopsick Palm Arboretum as well as the Sunken Gardens. Tours are generally 2-hours which will leave you plenty of time for lunch or nice cold beverage before driving back to Tampa. 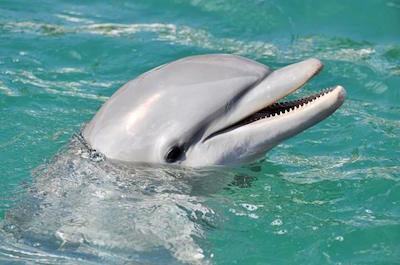 If you like watching marine life swim in their natural habitat then an ideal thing to do in Tampa is to go on a Clearwater Dolphin Watching cruise. Your nearly 1.5-hour excursion has several departure times throughout the day and begins with a short drive to Clearwater which is just north of Tampa where you will meet your captain at the Clearwater Memorial Causeway. Once on board a double-decked catamaran you will sail throughout the Intercoastal Waterways as well as into the Gulf of Mexico and your expert captain will offer an interesting narrative throughout your sail from marine life to the Florida eco-system to the incredible built environment of the coastline. While you are sailing you will witness hundreds of bottlenose dolphins who like to swim in packs 10 to 30 members. You will be thrilled to see these amazing sea creatures up close as they follow the catamaran across the water. A bonus on this tour is the incredible views of the shoreline you will experience from a totally different vantage point. 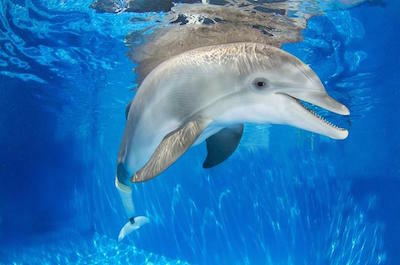 You can see celebrity mansions, museums and interesting buildings as you sail the coastline watching for more dolphins. 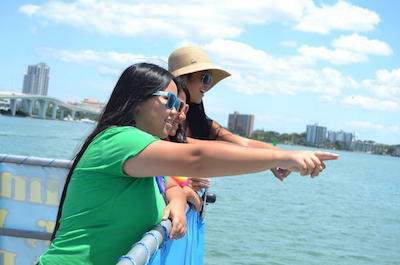 Your excursion concludes when you dock back at the Clearwater Memorial Causeway. If you are someone that is marveled by the advances in science and industry over hundreds of years then a superb thing to do in Tampa is to stop by the Museum of Science and Industry. 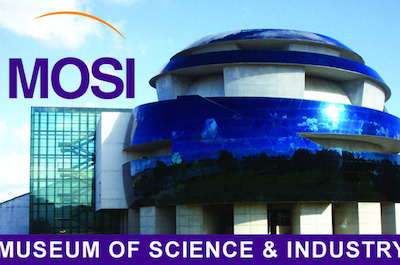 Located at 4801 East Fowler Avenue in north Tampa, the Museum of Science and Industry is situated in a 190,000 square foot facility that features 450 hands-on activities for people of all ages. Once inside the museum you will be in shear awe of the number of exhibits that you can explore. There are numerous ways to enjoy the interactive exhibits that range from the Idea Zone where you can build something incredible to watching the stars in the Saunders Planetarium to manufacturing a new tool with a 3D printer to learning the importance of butterflies. You can decide to watch a movie on 10,500 square feet screen at the Florida Hospital IMAX Dome Theatre, experience a hurricane in the Gulf Coast Hurricane Simulator or you can challenge yourself on the Sky Trail Ropes Course and Ziplines. Children will be thrilled with Kids In Charge! which is the largest science center dedicated to children 12 years of age or younger in the United States. Your child will learn how to combine imagination and creative thinking to further science in solving more complex problems. 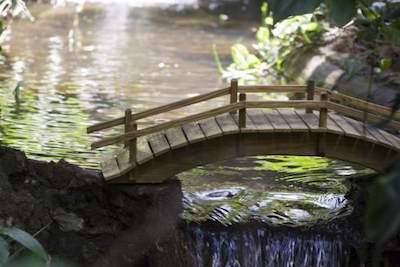 When you want to view thousands of plants in a serene setting that is relaxing and informative then the ideal thing to do in Tampa is to plan a trip to the Sunken Gardens. Located at 1825 4th Street North in St. Petersburg, the Sunken Gardens were created over 100 years ago and is one of the oldest living museums in the country. The Sunken Gardens contains over 50,000 plants from more than 500 species from around the world in a tranquil manicured garden. As you stroll through the gardens you can view the Cactus Garden, the Japanese Garden and the Butterfly Garden. There is even a Chilean Flamingo Garden where the flamingos are the center piece. There are numerous waterfalls, a Wishing Well, a Wedding Lawn and a Photo Ring that generate interest from visitors. In addition to all the beautiful plants and exotic flowers there is the Growing Stone which is a fossilized piece of limestone that releases tranquility, inner harmony and talent when a person sits on the rock in order to help you grow as an individual. One of the more popular things to do in Tampa to view the sights from a different perspective is to go on a Clearwater cruise. Cruises are an ideal way to get out on the water and explore the area from a totally new vantage point. You can decide to go on a dolphin watching cruise where you will see bottlenose dolphins and manatees swimming in their natural habitat. There are a variety of excursions that will suit everyone such as a lunchtime cruise that ventures into the Intercoastal Waterways of the area as well as a tropical dance party cruise with DJ’s playing your favorite music. Other exciting boat rides include a romantic dinner and dance cruise as well as a sunset cruise where you can watch the sky turn into a mixture of a thousand colors before the darkness of night sheds thousands of stars. 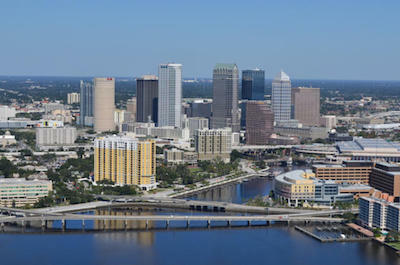 One of the more adrenaline filled things to do in Tampa is to explore the sights by taking a thrilling Tampa helicopter tour. These excursions are fascinating and packed with fun. You will feel your adrenaline lift to new levels as you soar through the skies above the beautiful buildings of downtown, Davis Island, the Port of Tampa and Busch Gardens. For nature lovers you can fly above places like Alafia River where you might spot a mana tee and history buffs will like the flight over historic Fort De Soto. You will be pleased with the passing over the Sunshine Skyway Bridge which spans Hillsborough Bay. When you want to experience something spectacular then take a sunset flight where you can watch the sky turn into a canvass of pastel colors and don’t forget to look down at the gorgeous waters of the Gulf of Mexico. 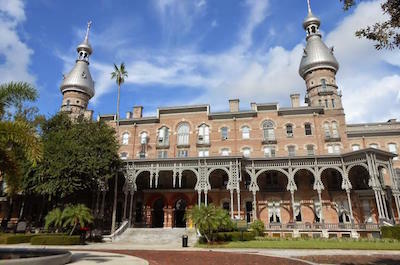 When are searching to enlighten your mind with the interesting history of the area then one of the best things to do in Tampa is to take a history tour. These excursions are fabulous and will introduce you to prominent figures in the formation of Tampa and the surrounding areas. You can walk through historical neighborhoods like Ybor City and visit a real cigar making factory while you savor the Latin sounds as well as aromas on the street. You can take a Segway tour of St. Petersburg where you will cruise along the coastline of Tampa Bay and view the St. Petersburg Pier while you learn interesting facts about the Tocobagan Indians that once occupied the area. Other fascinating excursions will take you by boat and cruise the waterfront where you will see wonderful museums, historic mansions and even the Plant Hotel while you listen to expert commentary from your guide. If you like mixing culture and history into your travels then the best thing to do in Tampa is to stop at historic Ybor City. Located north of downtown Tampa, Ybor City was founded in 1888 by Vicente Martinez-Ybor and is listed as a National Historic Landmark District. Originally developed as a cigar manufacturing town Ybor City quickly became a cultural spot and with thousands of immigrants from Cuba, Italy and Spain populating the city. Over the years many of the shops in Ybor City were by these immigrants and that is still prevalent today. As you walk down the streets you will hear Latin music, smell the aromas of Latin cuisine and view the wonderful architecture that still exists in the area. 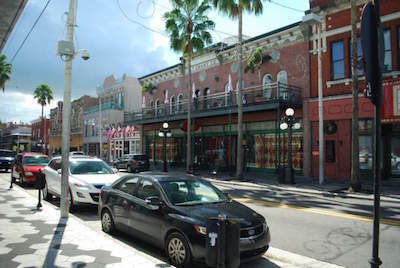 Ybor City is also a very vibrant place in the evening with several nightclubs that attraction thousands of people on a nightly basis. When you are in Ybor City you can visit the Ybor City Museum State Park, the Cigar Museum and Visitor Center and the TECO Line Streetcar Museum. If you are a searching for a pristine island with gorgeous white sand beaches that are somewhat secluded then the best thing to do in Tampa is to visit Caladesi Island State Park. Located across the St. Joseph Sound west of the town of Dunedin, Caladesi Island State Park is only accessible by ferry service from Honeymoon Island State Park or by private boat. 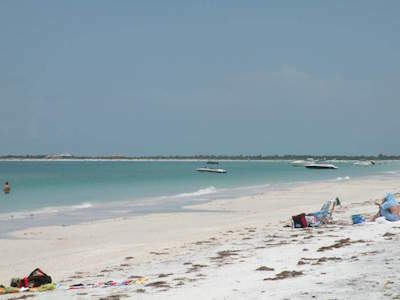 Caladesi Island State Park boasts plenty of powdery white sand for lounging with excellent swimming opportunities. You can take a hike on 3-miles of nature trails that feature mangroves, sand dunes and palm trees or you can go kayaking as well as canoeing on a designated 3-mile water trail through a mangrove forest and the bay area. Fishing is another popular activity at the park and birdwatchers will be pleased viewing blue herons, black skimmers and sandpipers. Facilities at the park include a 108 boat slip with electric and water hook-ups, kayak rentals, concession stand, picnic areas, playground and showers. When you are searching for some of the more challenging off-road bicycle trails in Florida, then a must thing to do in Tampa is to take a trip to Alafia River State Park. 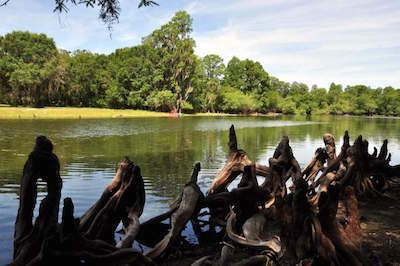 Located at 14326 South County Road 39 southeast of Tampa in Lithia, the Alafia River State Park is situated on 6,260-acres that were associated with a former phosphate mining site. The Alafia River State Park boasts several activities with over 17-miles of off-road bicycling trails that range from novice to expert level and is a perfect area for all types of riders. The park contains over 20-miles of hiking and horseback riding trails that wide through pine flatwoods as well as mixed hardwood forests. There are numerous other opportunities such as kayaking or canoeing along the south fork of the Alafia River and fishing is allowed. Wildlife viewing is particularly good for birdwatchers with several dozens of species to be found within the park. Alafia River State Park sports a geo-seeking game where you can go treasure hunting with GPS devices. The park contains a campground, horse friendly campsites, picnic facilities and a playground. When you want to see a spectacular manicured garden of trees then the perfect thing to do in Tampa is to visit the Gizella Kopsick Palm Arboretum. 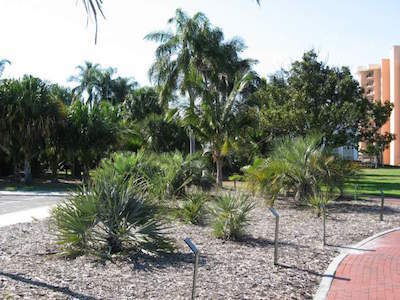 Located at 11th Avenue Northeast and North Shore Drive in St. Petersburg, the Gizella Kopsick Palm Arboretum is situated on 2-acres of superbly manicured grounds and contains over 500 palm and cycads that represent some 150 species. The Gizella Kopsick Palm Arboretum boasts a great educational experience while you stroll through the arboretum and read the signs that will tell you about the species as well as origin of the trees. The park originally started with 60 palm trees that represented 10 different species and continues to change as more trees are planted. The arboretum is a great place to relax and perhaps have a picnic among the biggest palm trees you will see in your lifetime. If you want to have some outdoor fun in a beautiful natural setting that includes beaches and forests, then the ideal thing to do in Tampa is to take a trip to Honeymoon Island State Park. 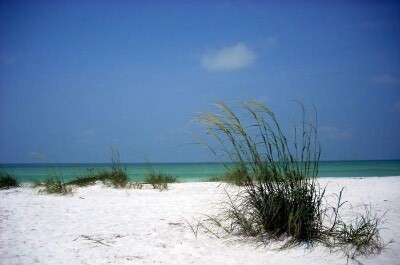 Located at 1 Causeway Boulevard in Dunedin at the extreme western end of State Road 586, Honeymoon Island State Park is situated on 384 acres of land as well as 2,400 acres of submerged area and boasts a 4-mile stretch of gorgeous white sand. Once at the park there is a variety of activities for you that range from lounging on the beach to kayaking to 2.5-miles of hiking trails in one of the last old growth slash pine forests in South Florida. Other exciting activities include snorkeling and fishing in the warm waters of the Gulf of Mexico as well as birdwatching in designated observation areas. The park is also a favorite for people looking for seashells with large deposits daily from the Gulf of Mexico. Throughout the park you will find numerous interpretive signs that explain the eco-system and animals that reside within the boundaries. The park sports picnic facilities, showers, a concession stand, gift shop as well as kayak and bicycle rentals. 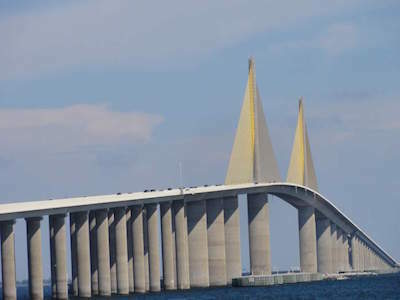 If you like to view engineering marvels that are unique then the perfect thing to do in Tampa is to take a drive over the Sunshine Skyway Bridge. Located on I-275/U.S. 19, the Sunshine Skyway Bridge, the Sunshine Skyway Bridge is a cable-stayed bridge that was completed in 1987 and fashioned after the Brotonne Bridge in France. The Sunshine Skyway Bridge has a total length of 1.1-miles and a height of 430 feet which allows for 180.5 feet of clearance below. 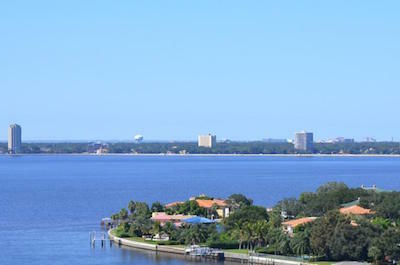 The bridge offers tremendous views of Tampa and is instrumental in connecting St. Petersburg to Tampa. The Sunshine Skyway Bridge is a marvelous structure and is considered to be the “flag bridge of Florida” as well as being rated the third special bridge in the world by the Travel Channel. The bridge is also a favorite filming spot for many car commercials and was featured in the movie The Punisher. When you want to view some of the best art and antiquities in the world, then only thing to do in Tampa is to take a trip to the Tampa Museum of Art. 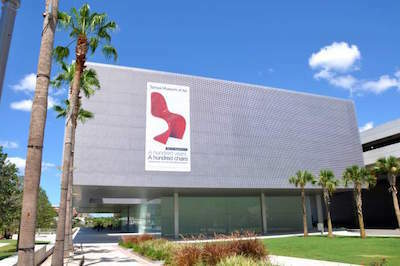 Located at 120 West Gasparilla Plaza in the Tampa Arts District in downtown, the Tampa Museum of Art is situated within along the Hillsborough River in a 66,000 square foot building that is adjacent to many attractions like the Florida Museum of Photographic Arts, Chirs Hixon Waterfront Park as well as the Glazer Children’s Museum and is connected to the Tampa Riverwalk. The Tampa Museum of Art boasts two permanent collections that include the Classical World which focuses on 300 pieces of work from the 3,000 BC to the 5th century AD. The second is a collection of ancient Greek and Roman statues and pottery. Other exhibits in the past have included Complicated Beauty: Contemporary Cuban Artwork, Manuel Carrillo: Mi Querido Mexico, Peter Max: 50 Years of Cosmic Dreaming, Alex Kat: Black and White as well as In Living Color: Andy Warhol and Contemporary Printmaking. The museum holds several events such as Pride and Passion: Cirque de Mascarade; lectures and educational classes like the Studio Lounge: An Adult Make and Take Mixer throughout the year. If you like to witness what time has left behind like ghost towns, native Indian mounds, archaeology within a pristine natural environment then an ideal thing to do in Tampa is to visit Weedon Island. Located at 1800 Weedon Drive Northeast Street in Pinellas County just outside of Tampa, the Weedon Island Preserve is situated on 3,190 acres and was placed on the National Register of Historic Places in 1972. Once you are Weedon Island you will be pleased with history, culture and the area’s natural surroundings. You can visit the visitor’s center which has numerous exhibits with ancient artifacts of the island’s early inhabitants 7,000 years ago. You will learn about the island’s 20th century history when Weedon Island was home to speakeasies and an airport that helped facilitate the filming of many movies like Hired Wife, Chloe and Playthings of Desire. 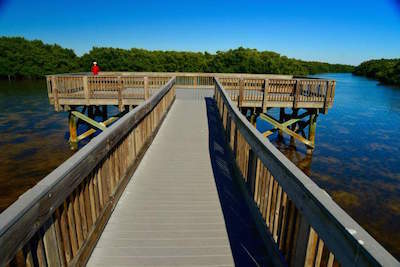 There are 4.7-miles of nature trails for you hike with 2-miles being supported by boardwalk which will lead you to a 45-foot tall observation tower. You can go kayaking or canoeing on the 4-mile South Paddling Trail and there are rentals onsite. There is a fishing pier for anglers as well as picnic facilities at the preserve. When you want to watch marine life swim in a natural environment then the perfect thing to do in Tampa is to plan a trip to the Tampa Electric Manatee Viewing Center. 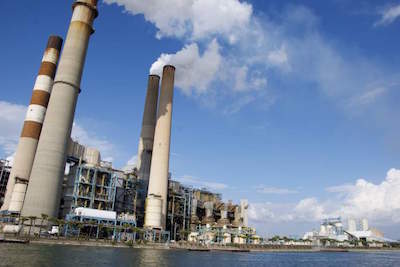 Located at 6990 Dickman Road at Apollo Beach, the Tampa Electric Manatee Viewing Center is situated at the old Big Bend Power Station and is a federally recognized manatee sanctuary. The Tampa Electric Manatee Viewing Center was created in 1986 when people started to notice large numbers of manatee in the waters located around one of the power station’s discharge canals when the temperature of Tampa Bay reached 68 degrees or colder. The discharge canals offered a refugee center to the mammals with warm clean water. The Tampa Electric Manatee Viewing Center consists of many attractions including an information center where you can learn about the areas eco-system, a butterfly garden, a habitat loop trail and a 50-foot observation tower as well as a newly open ray tank where you can actually touch several rays as they swim. Today the center is open from November to April 15th of every year for people to enjoy watching these pristine creatures. If you like to spend time outdoors in a scenic area that is packed with activities then the best thing to do in Tampa is to take a trip to Lettuce Lake Regional Park. 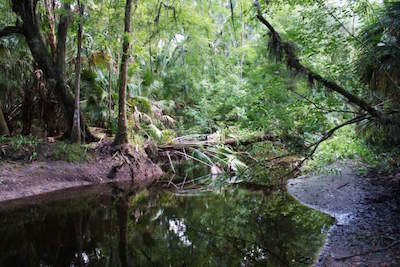 Located at 6920 East Fletcher Avenue northeast of downtown Tampa, the Lettuce Lake Regional Park is situated on 240-acres of hardwood swamp forest, pine flatwoods plants and hardwood hammocks. The park was created in 1982 after the area was primarily used for hunting, fishing and cattle grazing. Today Lettuce Lake Regional Park has miles of hiking, bicycling and jogging trails as well as a fitness course. Other activities at the park include kayaking and canoeing as well as fishing. On the weekends you can take a guided nature tour that follows a 3,500-feet boardwalk along the Hillsborough River where you will learn about the areas eco-system as well as view incredible wildlife including dozens of bird species and you might even spot an alligator. There is an interpretive center with several exhibits on the wildlife as well as three story observation tower. Other facilities include canoe rentals, boat dock and ramp, a playground, picnic tables, barbeque grills and restrooms. When you want to take a stroll along the Hillsborough River, then the perfect thing to do in Tampa is to visit the Tamp Riverwalk. Located in downtown the Tampa Riverwalk runs from the Tampa Arts District to Tampa Heights and is a continuous paved trail for 2.4-miles connecting several of Tampa’s best parks, museums and attractions of the area. The Tampa Riverwalk is a great green belt that passes by the Florida Museum of Photographic Arts, Curtis Hixon Waterfront Park, Rivergate Tower, the Tampa Museum of Art, Macdill Park, Glazer Children’s Museum before extending past the Channelside District to the Tampa Convention Center and ending at Water Works Park in Tampa Heights. While walking or biking the Riverwalk you can stop and enjoy several shopping venues as well as dining options. You will be pleased when you view the twenty incredible bronze busts of some of the most prominent people in Tampa history including Henry B. Plant, Moses White. Gavino Gutierrez, Kate V. Jackson and Pohoy. Other artwork on display at the Riverwalk includes Laurel Street Bridge mural as well as the Woven Waves quilt which highlights the diversity of Tampa’s culture and heritage. 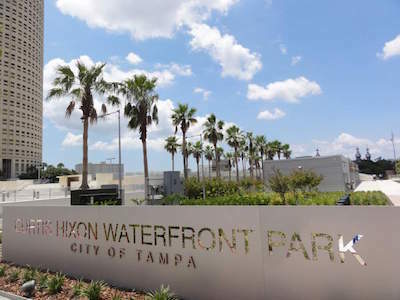 If you are seeking a relaxing park while visiting the sites downtown, then the best thing to do in Tampa is to stop at the Curtis Hixon Waterfront Park. 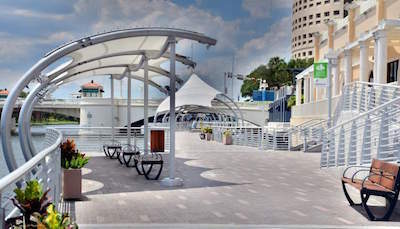 Located at 600 North Ashley Drive in the Arts Waterfront District of downtown Tampa, the Curtis Hixon Waterfront Park is situated on 8-acres along the Hillsborough River and is adjacent to the Tampa Riverwalk, Florida Museum of Photographic Art, the Glazer Children’s Museum, Rivergate Tower and the Tampa Museum of Art. Curtis Hixon Waterfront Park is a large grassy open lawn with several terraces that slope toward Hillsborough River. The park features a nice playground for children, several water fountains, an amphitheater, several pavilions, a public boat dock and a dog park. Curtis Hixon Waterfront Park has hosted numerous concerts, music and food festivals as well as arts and crafts shows. If you visit in the evening you can even join in on a yoga class and in the winter months the park has been known to open a temporary ice skating rink. 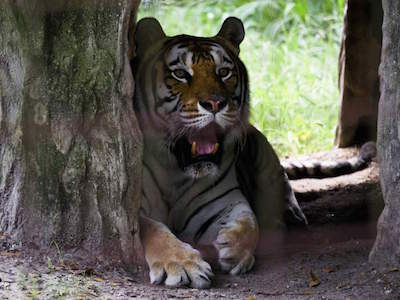 If you are interested in animal conservation that includes rescue and rehabilitation then a perfect thing to do in Tampa for you is to plan a trip to the Tampa Big Cat Sanctuary. Located at 12802 Easy Street in the Curtis Park area just north of downtown, the Tampa Big Cat Rescue is situated on 67-acres and has been in operation for over 25 years with a primary goal of saving abused and abandoned big cats. You will be thrilled while you walk the grounds listening to your tour guide explain the organizations methods of conservation as well as the rescue and rehabilitation of these beautiful animals. The Tampa Big Cat Rescue houses up to 100 big cats that include lions, caracals, tigers, cougars, ocelots, lynxes, sand cats, leopards, bobcats, binturongs and civets. The rescue center has been instrumental in providing a safe environment for these animals after rehabilitation has taken place. While you are walking the grounds you might even get a chance to feed one of the big cats or watch one of the keepers work with the animals in rehab. There are some age restrictions for children under 10 who are only allowed inside the sanctuary on Saturdays. If you want to witness one of the last four fully-functional WWII ships in the U.S., then a must thing to do in Tampa is to visit the SS American Victory Ship Mariners’ Memorial and Museum Ship. Located at 705 Channelside Drive within the Channel District of Tampa, the SS American Victory Mariners’ Memorial and Museum Ship is situated along the waters of Ybor Channel and is a Victory Class Ship that was constructed in 1945. The SS American Victory saw brief action in WWII, the Korean War as well as the Vietnam War until 1969. The SS American Victory Mariners’ Memorial and Museum Ship is a fascinating look into a fully-functional war ship which also features exhibits that include a submarine propeller from a German U-boat, various sailor uniforms, photos of shipwrecks, Merchant Marine recruiting posters and various plaques from other Victory and Liberty class ships which have been scrapped or sunk. Other interesting items are several ship models that include destroyers as well as a German Type XXI U-boat. You can wander the whole nine decks of the ship which includes three cargo holds, the wheel house, mess halls, engine room, hospital, weaponry, radio room, crew cabins and the flying bridge. If you like exploring new religions and tasting incredible food then an ideal thing to do in Tampa is to visit the Wat Mongkolrata Temple. Located at 5306 Palm River Road east of downtown in the Palm River-Clair Mel neighborhood, the Wat Mongkolrata Temple is situated within a lush manicured garden with several fruit trees. The Wat Mongkolrata Temple is famous for Sundays where there is a superb Sunday brunch of fascinating and tasty cuisine from Thailand. The brunch features several vendors selling Thai specialty dishes with profits going to the temple. There are numerous picnic tables for sitting that provide a great view of the temple as well as the Palm River. Brunch is served from 9:30 A.M. until 1:00 P.M. after which Buddhist services are held in the Pali language within the temple. You are invited to services if you follow proper etiquette when observing. Sundays at the temple often times includes an exotic plant market so come prepared for more than food. Other service held throughout the year at the temple are Loy Krathong Festival in November and in December the temple celebrates the King’s birthday. When you are interested in seeing one of the world’s longest sidewalk then an ideal thing to do in Tampa is to take a stroll along the Bayshore Boulevard also known as the Bayshore Greenway Trail. Located along the Hillsborough Bay south of downtown Tampa, Bayshore Boulevard is a spectacular waterfront area of sidewalk that is 10-feet wide and 4.5-miles in length that runs from Platt Street to Gandy Boulevard. The sidewalk area is generally used for recreation such as skating, walking and jogging. As you stroll down the greenway you will notice the beautiful historic homes of Old Hyde Park, several shopping venues and dining options that include the historic Colonnade which is known for its outstanding seafood. The boulevard also has an associated a 3-mile section of bike lanes and the Bayshore Greenway Trail passes several parks like Ballast Point, Fred Ball as well as Bay to Bay Park. The sidewalk is marked every kilometer, half-mile and mile by embedded bronze markers that reflect images of the area’s natural environments. There are several fitness stations, benches, a city marina and a water fountain along the greenway. If you like the excitement of live horse racing, playing poker and golfing then the perfect thing to do in Tampa for you is to take a trip to Tampa Bay Downs. Located at 11225 Race Track Road in Hillsborough County just outside of Tampa, Tampa Bay Downs was first opened in 1926 for horse racing. Tampa Bay Downs has a one-mile oval dirt track that is accompanied by a seven furlong grass track that features a quarter-mile. The race track holds six graded racing events during the season that runs from mid-November to the beginning of May and the race track is open for simulcast off-track wagering the remaining days of the year. For golf enthusiasts there is a 22-acre Downs Golf Practice Facility which includes a driving range and separate short game area. If you like to play poker you can stop by the 30 table Silks Poker Room at Tampa Bay Downs and play a hand of Texas Hold’em or a game of Stud as well as Omaha.